Not every diet sounds as simple as they are. In order to make the most out of it and be truly healthy, you have to do it right. Changing the face of healthcare is Dr. Josh Axe, doctor of naturopathic medicine and chiropractic. He has been on to creating a better relationship with our food choices to axe the bad stuff and in with the good. As the creator of the bone broth protein and a lot in the Keto space, he lays down the right and wrong way to actually do Keto. He takes us through ketosis and what is ketogenic and not. He then ties it up with Chinese medicine, discussing the dampness in our body and what we need for it. Dr. Axe also touches on essential oils and how they can help us in our overall quest for wellness. I’m so honored today to have on Dr. Josh Axe. 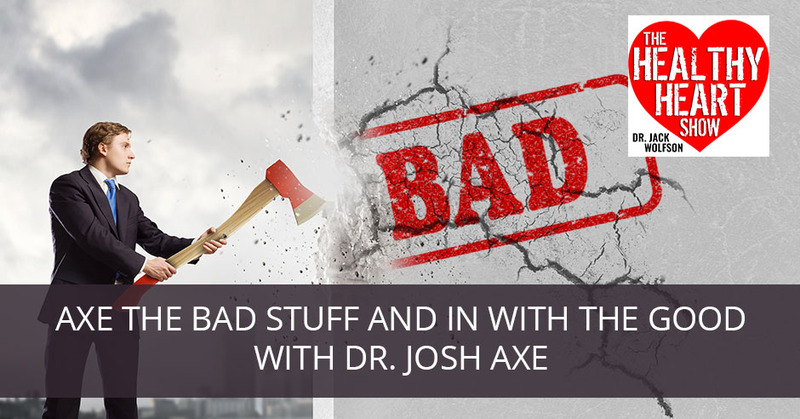 If you don’t know Dr. Josh Axe, I don’t know where you’ve been hiding out because Dr. Axe is all over the place and for a good reason. It’s because he is changing the face of healthcare, not sick care, the area where I came from but healthcare and wellness. Dr. Axe is at the forefront. Dr. Axe is a doctor of naturopathic medicine. He is a doctor of chiropractic, just like my beautiful bride, Dr. Heather. He is a nutritionist as well. Josh, welcome to the show. It’s a pleasure to have you on. Thanks for having me, Dr. Jack. I’m excited to be here. You have so many things going on in your world. You’ve got the website, which is just a wealth of information. It’s like whenever I want to learn about something or I’m looking at some food or some nutrients, I get onto Google and there is my buddy, DrAxe.com, to give me that information. Kudos to you for getting that info out there and of course, your line of supplements and your knowledge of essential oils and the stuff that you’re doing. You’re the creator of the bone broth protein and a lot in the Keto space. Tell me what’s the latest? What’s been going on? If you’re doing some turkey bacon, that’s great. If you’re doing some grass-fed beef burger, that’s fantastic. Some ghee and butter, pastured butter’s fine but you need other things too. When you’re on a keto diet, it’s important that you are getting lots of alkaline vegetables, lots of minerals that are very alkaline in nature and balancing your body out. The thing is there’s a right way to do keto where you can lose weight fast, you can transform your health. You have got to be doing real food, healthy fats, avocados, coconut, olives, tahini and nuts and flax seeds and wild-caught fish. That’s the way it’s supposed to be done. That’s something I’ve been spending some time on. When I was a cardiology fellow back in 2000, I was at a meeting at the American College of Cardiology and I saw this debate for about 45 minutes between the late Robert Atkins of low carb fame and then Dean Ornish of low-fat fame. I walked out of there and said, “This guy Atkins is saying about going low carb makes total sense.” As you alluded to, there was not this differentiation between healthy fats and what he was pushing was a lot of ketosis back then, but he had no say as far as “Is it free-range, grass-fed or is it quality fats like avocados?” He was all about shoving in a soybean oil. I know you and I are both very big on organic. I know that Ancient Nutrition, your company, have so many different organic products available. That’s where I try and push things as I know you do as well. It’s that quality of the fat that matters. Take us through a little bit of the wrong kind of high fat program, which would lead someone into ketosis. I’ll let people go to your book and read all about what ketosis is and what ketogenic is and whatnot. Maybe let’s just say it’s high fat. Where are people going wrong? First off, you want to stay away from what I call the three C’s and three S’s of fats. You want to stay away from any oil that says, “Cottonseed, corn, canola oil,” for the most part. You want to stay away from those three C’s. I know these are in some health products, but I’m not a fan of soybean oil. In most cases, if it’s been fried, sunflower and safflower oil, because polyunsaturated fats and Omega-6s, they’re just more sensitive. If you’re doing just a pure sunflower oil that’s never been heated, it’s a little bit of a different story. In general, when you’re buying packaged food products, when you’re seeing those in there, those oils are sensitive oils and I don’t they’re the best. Staying away from those fats is important. Stay away from conventional meat products. We know you are what you eat, what they ate or also what was put into their system. When we’re talking about conventional beef, it’s higher in certain types of saturated fats and there are good and bad saturated fats. Also, you’re going to be getting more of those pro-inflammatory Omega-6s, you’re going to be getting less CLA, less Omega-3s. You’re going to be getting higher amounts of different types of steroids and growth hormones, especially in both the dairy and the meat. It’s important to consider. If you’re going to go keto, you want to stay away from conventional meat, conventional dairy, the three C’s, the three S’s, all those refined and processed oils. You want to consume loads and loads of these food categories, lots of vegetables, lots of nuts and seeds, lots of wild, organic meat, such as wild-caught salmon, grass-fed beef, organic eggs, that whole thing. Also lots of herbs and spices I put in the category, lots of bone broth, fermented foods. Herbs and spices, those are something that we miss out on in all diets now. It’s not just keto, it’s vegan diets even though you’d think that they’d be getting more herbs and spices than others. Paleo for the most part too and you’d think that would be getting more herbs and spices. That’s something you notice. Ketogenic: If you want to heal your heart, then load up on herbs and spices. When you look at Eastern medicine, especially Asian, Indian and Middle Eastern cultures, they are using loads and loads of spices, from turmeric to fenugreek to cinnamon to black pepper. They’re using a lot of these herbs. I use the term a lot, “Food is medicine,” but it is most true for herbs and spices. I know that broccoli was the king twenty years ago of superfoods and then we got into kale, all the popularity of kale. Kale and broccoli are amazing superfoods, but if you’re comparing the nutrient density of turmeric or holy basil leaf, even cinnamon or ginger, those compounds to what’s in kale, those herbs and spices will blow these other foods out of the water. Parsley and cilantro are more nutrient-dense than kale, just simple garden herbs. That’s something I’m passionate about teaching people. If you want to heal your heart, if you want to start cleansing out your cardiovascular system and reversing heart disease, load up on those herbs and spices, those culinary herbs and spices. Turmeric with some black pepper is a great combo to be throwing in food, but there are a lot of others as well. Garlic is great. Those are some things to think about. I tell my patients, open up the spice drawer and just dump it all into your food. You can do all kinds of different recipes and there are a million different recipe books that are out there. Just open up the spice drawer and dump it into your salad, into whatever food you’re cooking. If you’re cooking chicken, you’re cooking steak, you’re cooking seafood, throw it all in there. I love to tell people to make their own salad dressing, so break out that fancy blender that you spent all that money for that you’re not using because it’s sitting in the closet. Get it out, wash it out with a good quality soap and then you’re going to put in your extra virgin olive oil and your lemon or apple cider vinegar. Throw the anchovies in there for healthy Omega-3s and a great source of calcium. Then just dump the spices in there. It’s a great way to get it into kids as well. Where did the pharmaceuticals come from? They came from the spice industry. From a cardiac standpoint, if you look at blood pressure drugs, things that are ACE inhibitors, instead of taking an ACE inhibitor which your body is not deficient in, take the spices that act like those inhibitory proteins. Ginger, as you mentioned is an angiotensin receptor blocker, so instead of taking some pharmaceutical that may increase cancer risk, now you can do it in ginger. Now that I’m on that thread, the other thing that blocks the angiotensin receptor is vitamin D. By doing vitamin D, you get that as well. You bring up a lot of these things that I know you have an expertise in Asian medicine and Chinese medicine. Where do you see Chinese medicine playing a role, certainly in cardiovascular disease, but in disease in general? 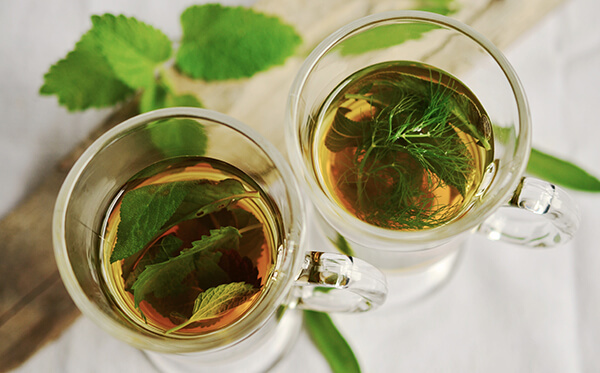 Traditional Chinese medicine and even to a degree, Ayurvedic medicine, they’re the oldest forms of medicine in the world, up there with Egyptian medicine. These forms of medicine have been around over 3,000 years. They’ve been proven over and over again. Years ago, the studies came out showing when you consume turmeric or curcumin extract, that you should take it with piperine, which is what’s in black pepper. All these scientists were like it’s this breakthrough discovery that this compound piperine improves absorption of the compounds in turmeric. It’s funny, there were ancient recipes for turmeric golden milk or turmeric golden tea. It’s been around 3,500 years. It’s a blend of turmeric with a warming spice trio called trikatu, which is black pepper, ginger and long pepper. Then healthy fats like ghee typically or sometimes coconut. Coconut is used more in Asia and ghee is used more in India. They knew that then. They knew that turmeric, when you consume it by itself, you absorb very little of it. When you consume a warming spice, it opens up your capillary, it opens up your cardiovascular system to allow more of these nutrients to then get into the bloodstream and then they also knew fats. Fats support absorption, we’ve seen lots of studies showing how fat, like even from coconut oil and others, improve absorption of certain vitamins and nutrients. All that being said, there’s so much proof when we look at ancient medicine and everything from Ayurveda to Chinese medicine to others. If you go into a traditional Chinese medicine doctor now, what they’ll typically do is they’ll look at your tongue and then they’ll feel your pulse. They’ll not just look at your appearance, see what’s going on too, ask you some questions. I have a good friend of mine who’s here in Nashville. I won’t call myself a master in Oriental medicine, but I would call him that. I’ve learned a lot over the years and treat any patients or anyone I care for this way. Looking at the tongue, for instance, if I look at somebody’s tongue and if there’s only a white coating on the back, it’s indicative of kidney or adrenal issues. It’s that reproductive health. You can tell if somebody has adrenal fatigue based on the back of their tongue. If the entire tongue has a white coating, that’s going to be dampness in Chinese medicine. We’d call it candida or yeast overgrowth, but that would be known as dampness. If there are ridges on the side of the tongue, that’s typically liver going on. If there are any suds on your tongue, it typically means gallbladder, there’s some frustration happening there. If there’s excess redness on the tip of your tongue, that’s heart health or lack of sleep, oftentimes there. I could go through a lot more, but those are just some basics there. Looking at your tongue, I can have somebody stick out their tongue and almost immediately know what’s going on with them. If it’s pale and there’s shaking going on, it’s a blood deficiency such as anemia. You can tell almost everything from the tongue or from the pulse. The pulse will tell you a lot as well, especially in terms of their chi, what’s somebody’s overall level of energy within their body. I know when I first heard of Chinese medicine, read a little bit about it, I’m like, “Chi, yin, yang, man, that all seems out there. That’s a little weird.” Then I just realized, it’s a different language, it’s a different way of describing things and it’s very accurate. It’s the most accurate form of medicine in the world if you ask me. When we’re looking at heart health, oftentimes in Chinese medicine, there is a level of dampness in the body and there are also a lot of times, an element of that red tip of the tongue. There’s just a level of anxiety and lack of actual deep sleep. In order to nourish the heart and in different flavors, nourish different organ systems or different elements in Chinese medicine. In Chinese medicine, the heart is part of what’s called the fire element. It’s also looking at certain tastes and seasons. Bitter is the flavor related to heart health. The number one killer in America is heart disease. It’s the number one disease killer. There are five different flavors that we have, tastes. Bitter might just be the last flavor, along with umami, but bitter is very low on that scale of foods we get. In fact, sweet is number one, salty is number two, sour number three, umami and bitter. Bitter foods are what heal your heart. It’s bitter foods. What would you recommend as far as bitter foods? Immediately, I’m thinking about radishes. I’m thinking arugula. Arugula is just so loaded with nitrates, converting it to nitric oxide and to me, that tastes very bitter. Number one, it’s herbs in general. Even though we might think of cinnamon as being sweet, it’s sweet but it’s bittersweet. You’ve got arugula, we got dandelion greens, radicchio, broccoli rabe is super bitter. Brussels sprouts, to a degree. Coffee is bitter. Dill is super bitter. Turmeric is bitter. Just taste an herb straight, parsley’s bitter. All these foods are bitter and what happens, when you consume bitter foods, it activates two channels, your heart channel and your liver, known in Chinese medicine. Your body starts to release bile and it helps your body better break down fat and absorb the nutrients in fat, those fat-soluble vitamins. That is the key. In Chinese medicine, if somebody was having a heart issue, the number one prescription is to start eating bitter herbs and spices and more bitter foods and vegetables and that’s going to go a long way to help heal the heart, improving absorption, digestion. They would also say warming foods. Warming foods are going to open things up too, so everything from cayenne pepper, turmeric, ginger, rosemary, a lot of these are in the warming spice categories. One of my favorite part of the Chinese medicine category is a supplement called berberine. If you look at the literature, the Chinese have been studying berberine for 75 years and berberine does tremendous as far as lipids are concerned, as far as blood sugar is concerned. There are hundreds of studies about how berberine kills cancer and you mentioned PCOS, polycystic ovarian syndrome. You mentioned for people with prostate enlargement. There’s literature that it helps to heal the leaky gut and of course, it’s a tremendous antibacterial. I love berberine from our friends in traditional Chinese medicine. Berberine’s awesome. It’s typically known probably most widely for its antimicrobial benefits and for what it can do for getting rid of parasites and infections and viruses. It’s used as an anti-parasite, antiviral in Chinese medicine which is a big part of that problem. It’s what I talked about that dampness that can happen in the body, it can help in eliminating that. I know there are different conditions, but the number one diagnosis that tends to happen in Chinese medicine with Americans now is what’s called a spleen deficiency, which is they would call dampness. Have you ever get sick with a cold or the flu, you got snot, mucus in your throat? Mucus is very damp and imagine you’re in Florida and it’s super humid there. There’s flooding. If you ever have flooding in a home, there’s always a risk for mold growth. You don’t have that problem as much in Arizona, maybe it can happen. We do. It’s scary. Mold is like one of those underlying toxicities. Ketogenic: A lot of naturopaths are just doctors that are holistic. Mold needs a certain environment to grow. It needs to be stagnant, not a lot of wind moving and it also needs to be damp. It needs that damp environment, so it’s the same thing in your body. What causes somebody to have a fungal overgrowth or a yeast overgrowth like candida? Your body is damp internally, typically damp and cold. That’s what happens. In Chinese medicine, bitter foods dry up dampness. It’s that bitter flavor and that’s something that’s missing. A lot of naturopaths are just doctors that are holistic, because if somebody will have candida or an issue like that, they’ll say, “We’ve just got to take a lot of natural things that are antibiotics and eat no sugar.” Sugar’s fine, but you’re not changing the environment. We’ve got to change the internal environment and that’s how ultimately you heal. To get rid of candida, most of the foods are lower sugar, but you’ve got to dry up the dampness with all of those bitter foods. That’s why Pau d’Arco is super fantastic for candida. It is super bitter, that’s one of the reasons it’s so good. Sage is very bitter and that’s another great one for drying up that dampness in candida there as well. Those can be great. Just to give you another example, why do we call it a cold? That’s a Chinese medicine term because your body is cold internally. All the natural treatments are warming spices. It’s ginger, it’s cayenne, it’s garlic, it’s cinnamon. In Nashville, when I first moved here I had a pastor, now that I’m thinking of it. I’m like, “John, you need to go home and I’m going to have you take this elderberry and this echinacea and this.” He’s like, “I just want to make sure this is good, doc. I’m going to do a hot toddy.” I hadn’t heard of that, I’m like, “What’s a hot toddy?” He’s like, “It’s whiskey.” I’m like, “Let me read up on that.” I went and read and I’m like, whiskey is hot and warming, so versus beer is cooling and will make you a lot worse anyways. When I was over at your house and it was so nice to hang out with you guys in the Nashville area. You made me breakfast that day. I remember it so well because there were four eggs cooked perfectly, just the way I like it. They were sunny side up, the yolks were runny, the healthiest way you can do it and it was absolutely delicious. I loved opening up the spice drawer and dumping them on top of the eggs because you get all that delicious fat. You mix it in with all these different bitter spices that you’re talking about and it’s a great way to get it into kids as well. My kids haven’t complained, once in a while, they’re like, “Dad, why are the eggs always green?” I’m like, “They’re green because I’m dumping in all the spices. If you don’t like it, I’m sorry. That’s just what the rules are. My goal is to keep you healthy. As a parent, that’s my number one mission is to keep you healthy and safe and that’s what we do.” I know you have a lot of expertise as well in essential oils. A lot of my patients ask me about essential oils and people are wanting to know what that plays in with heart health. Maybe some of the oils that may crank up parasympathetic tone, lower sympathetic tone. Where everybody else is driven in that mode of go, go, go, it no doubt leads to high blood pressure, heart rhythm issues. We want to boost up parasympathetic. Is that something that essential oils can help us with? Absolutely, especially the right essential oils. I’ve got several I’m thinking of here. Some of them diffusing and then some of them to use internally. When you are buying essential oils, look for certified organic, make sure they’re labeled as a dietary supplement, just make sure you’re getting quality there, especially for internal use. For internal use, sometimes these aren’t just essential oils, they’re known as CO2 extract essential oils or CO2 oils. I love turmeric essential oil. Turmeric oil internally is powerful. It’s high in curcumin, which helps reduce inflammation. It’s high in turmeric, which increases stem cell production so regenerating new and healthy tissues. Turmeric oil is my number one. Number two, holy basil essential oil. Holy basil is great for diffusing. Holy basil, in Ayurvedic medicine, was known as tulsi and it’s known as an adaptogenic herb. It’s going to help lower cortisol levels. There are clinical studies, holy basil lowers those cortisol levels. Diffusing holy basil is great. With holy basil, what I would partner it with in diffusing is lavender essential oil. In fact, there’s a clinical study on lavender oil helping lower blood pressure in patients, systolic blood pressure. It’s a great essential oil, it’s a very calming oil. You can use it any time of day, but I like that blend of holy basil oil with lavender essential oil for reducing cortisol, calming the nerves, both great for that. Then a few others are great, even if it’s a drop internally or diffusing it, rosemary oil. When we hear anti-inflammatory herbs, most people’s head goes to turmeric and ginger and they’re both fantastic. Rosemary is one of the most anti-inflammatory culinary spices available. Diffusing a drop or so of rosemary oil internally is great, that’s another one that I just love. Sometimes it’s a CO2 extract essential oil or sometimes it’s a straight oil. Black cumin oil or its cousin black seed oil, but black cumin and black seed, talk about bitter. In fact, that’s one of the most bitter seeds in the world. Black seed or black cumin oil is another great one for heart health. We sell that in the office here as well. We’ve got the black cumin seed oil, but also the organic black cumin seeds. That’s another thing I tell people to throw into the blender, but that is a strong taste. That’s something you want to build up slowly. The Egyptians have been using that for 5,000-plus years and it’s so medicinal, what that does. I absolutely love it. Getting one of those diffusers, as you said, it’s so simple to buy it, Natural Grocers, Whole Foods, a lot of those stores. Online, you can buy all those things to help people. From a cardiac standpoint, the people out there with atrial fibrillation, heart rhythm disorders, it’s an imbalance of certainly the adrenals, of the thyroid and certainly when it comes to that autonomic balancing of the parasympathetics and sympathetics. That’s all tremendous. Tell me what’s going on with Josh Axe? Tell me what’s next, what have you got planned over the next five years? I do want to give a few other points on supplements. If people are wondering, “What are some of the best things?” One of the things I wanted to mention is collagen. A lot of people aren’t fully aware of this, but your arterial and your vascular walls are made up of partly collagen. A lot of times people get weakened arteries as they get older or have issues even with spider veins and those types of things. You want to strengthen your arterial walls, the fascia that holds your organs. If people are out there are taking protein powders from rice, to pea, to whey protein, a lot of times, those proteins, they’re not doing anything for your health. Maybe whey for vanity purposes and you’re a bodybuilder but for the most part, getting a collagen protein and looking for a multi-collagen protein or a bone broth protein, those are great because they’re going to help strengthen those cardiovascular walls. That’s one supplement to consider. One of the most popular herbs used in Chinese medicine is hawthorn for overall heart health. That’s one to consider just for general overall heart health. It’s great there as well. I just wanted to mention those two. The essential oils are great, using a lot of the culinary spices there too. I’m excited about a lot of stuff. Jordan Rubin, my business partner and I, we’re out there doing a lot with a lot of retail companies now. Target just picked up our products, our entire collagen line. Whole Foods Market has our keto line, our collagen line, our probiotics and multis, they’re getting all of those in now. Costco just picked up our collagen. They’re picking up our bone broth protein. It’s great. You’ve got places like Target and Costco where you can go and find Ancient Nutrition products, which we’re excited about. I’m just on a mission to continue to teach people how to use food to transform their overall health. The more when we’re in the kitchen thinking about, “If I add some rosemary here and some turmeric here and some garlic and black pepper and some cilantro,” just knowing what that’s doing for us and our health and getting the fake food out, getting the real food in. I’m passionate about just going around and teaching that message and truth and now just formulating a lot of products that people can use with them in a convenient form. I was teaching my patients to make their own bone broth at home and just saw how difficult that was for them. Myself and Jordan Rubin said, “We need to be able to get bone broth in just a powder form, where people can travel with it,” and we’re going to be doing that a lot. We’re doing that with a lot of keto product which you can find at Whole Foods and Natural Grocers and individual health food stores all over the country. We also have some CBD products here in the future, so we’re excited about that and the just calming benefits that has for the parasympathetic nerve system there as well. The next five years, I’m coming out with a keto book and coming out with a lot of stuff here. We appreciate having you on the health and wellness side. This is all the health revolution. Coming from where I came from in the sickness model, where the average cardiologist has no idea what we’re even talking about, the spices that we’re talking about. They just think, “Eat whatever you want and take your statin drug and you’ll be fine. Take your aspirin,” and people are wise to that. This isn’t the 1970s where you go visit your doctor and you listen to whatever they said without doing any kind of research. 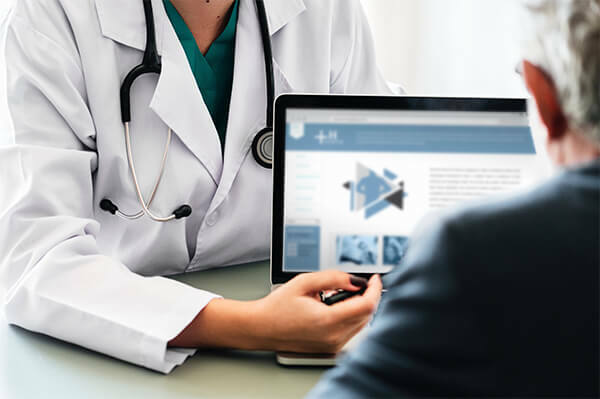 Now, there’s the ability to go to websites like yours, to be able to find this information that you’re not going to find in your doctor’s office and you don’t need to. This is where prevention comes in. Ketogenic: Get the fake food out and get the real food in. You talked about the rosemary. One of our favorite recipes is rosemary almonds. We take the almonds and we’ll either do some grapeseed oil or a ghee or even a butter and bake the almonds with that, coat it up a little bit and then sprinkle the rosemary all over it. Rosemary is so cheap, it’s probably growing in your backyard and you don’t even know it. If you’re not spraying it, just go harvest that. It’s a weed, it grows so easy. For those that don’t have a garden, just grow rosemary in a bucket inside your house. It will grow and you’ve got something that’s tremendously nutritious. Chelsea and I, with her parents, we have just a vacation home we go down to in Florida. Our shrubs are rosemary, so it’s funny you say that. It’s a great idea. I love that. Thank you so much, Dr. Josh Axe, for being on the Healthy Heart Show. It’s an absolute pleasure. I hope to have you on again in the future to tell us what’s the latest. Dr. Josh Axe, DC, DNM, CNS, is a doctor of chiropractic, certified doctor of natural medicine and clinical nutritionist with a passion to help people eat healthy and live a healthy lifestyle. In 2008, he started a functional medicine center in Nashville, which grew to become one of the most renowned clinics in the world. Dr. Axe founded the natural health website DrAxe.com, which at over 17 million monthly visitors is considered the No. 1 natural health website in the world today. Its main topics include nutrition, natural medicine, fitness, healthy recipes, home DIY remedies and trending health news. His website includes a group of credentialed editors, writers and a Medical Review Board. See the About Us page for more details. He has also been a resource for many professional athletes. In 2009, he began working with the Wellness Advisory Council and Professional Swim Teams. He worked with professional swimmers, providing nutritional advice and performing musculoskeletal work on the athletes to increase their performance. He also traveled to the 2012 Games in London to work with USA athletes. 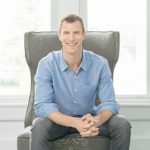 Dr. Josh Axe has authored several celebrated and bestselling books including Eat Dirt, The Real Food Diet Cookbook and Essential Oils Ancient Medicine. Eat Dirt: Why Leaky Gut May Be the Root Cause of Your Health Problems and 5 Surprising Steps to Cure It was published by Harper New Wave in March 2016, and it currently receives 4.6 out of 5 stars on Amazon. In January 2017, Essential Oils: Ancient Medicine for the Modern World was published, and it’s garnered 4.7 out of 5 stars on Amazon. On February 19, 2019, Little Brown & Company will publish Keto Diet: Your 30-Day Plan to Lose Weight, Balance Hormones, and Reverse Disease, and it promises to be the definitive book on the ketogenic diet. Millions of people have read his books and gone through his programs, including Healing Leaky Gut and Essential Oils Transformation. These books and programs combine the power of advanced nutrition with recipes, herbal remedies and lifestyle improvements to help people reach their health goals.